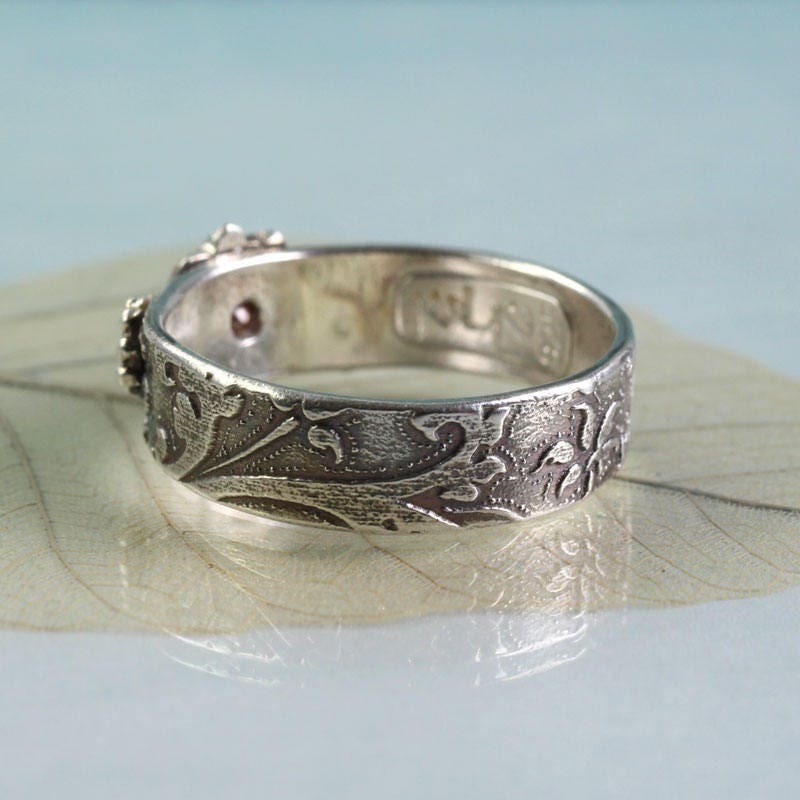 A very romantic band ring with an 18th century etched style flower vine pattern all around the band. 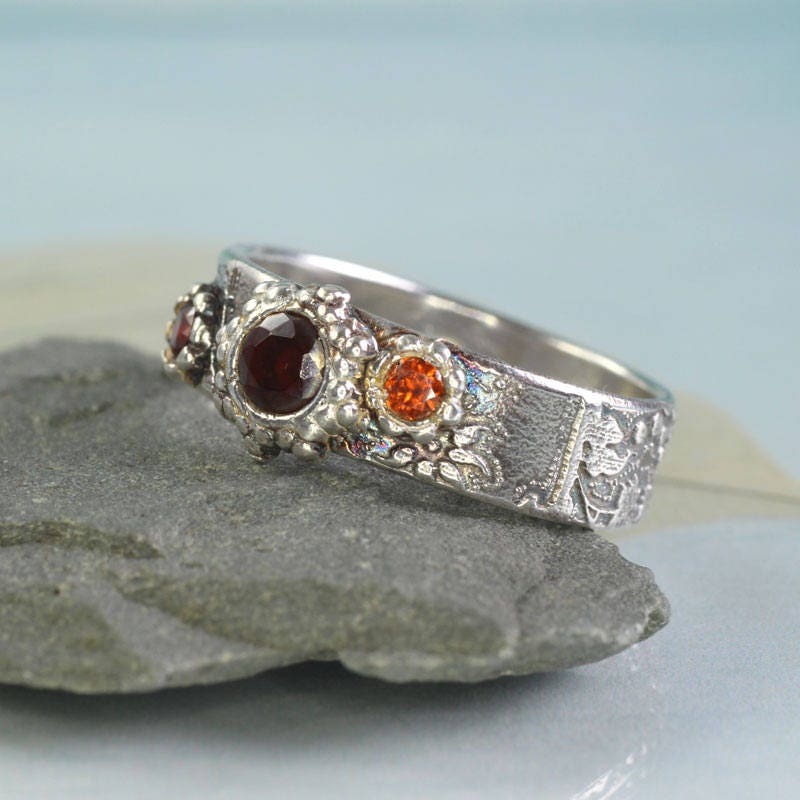 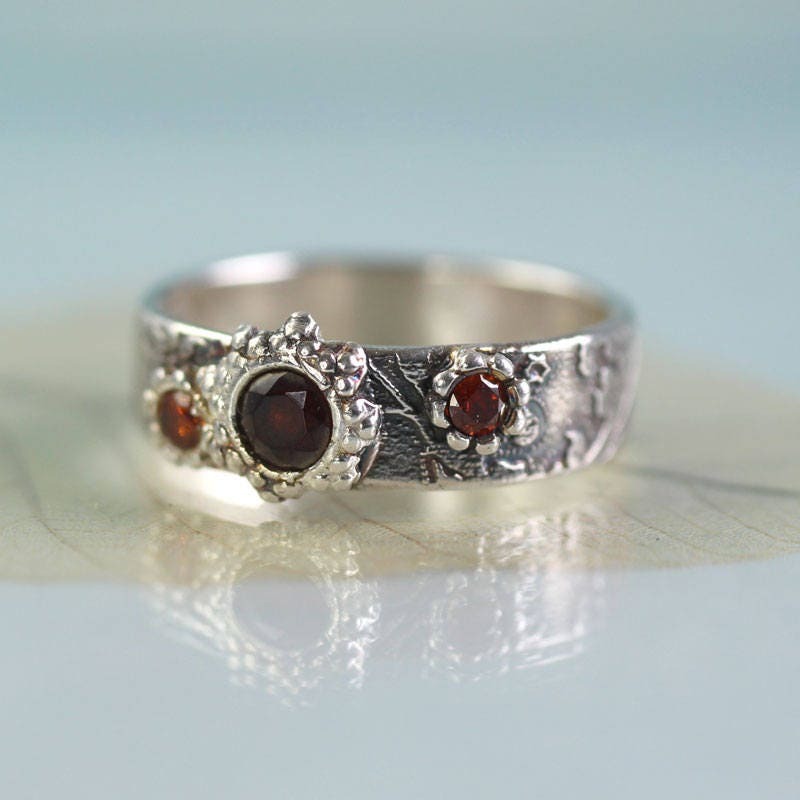 A lovely dark red garnet in a flower setting is flanked by two smaller stones - two beautiful orange red CZs in star flower settings offset in placement and size. 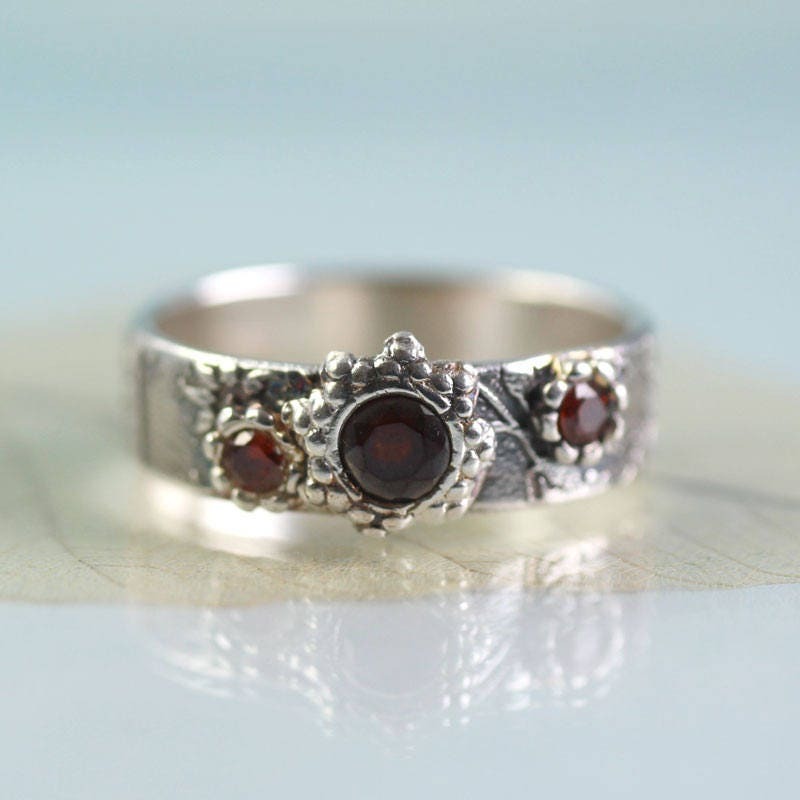 It has a very old fashioned look to it which is enhanced by the dark red and the oxidised silver. 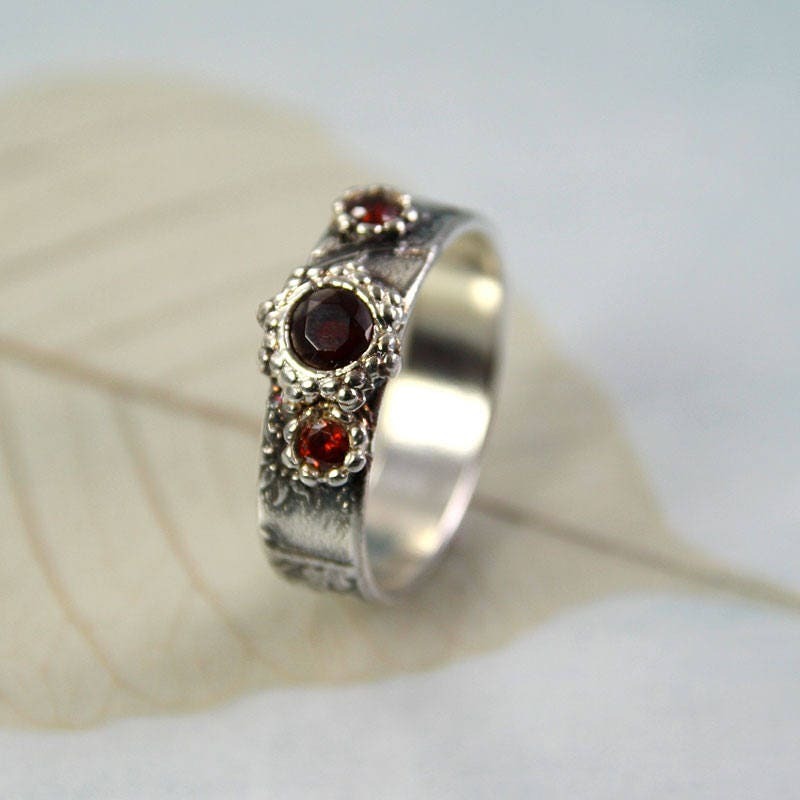 I made this as a unique ring, the design not meant to be repeated. 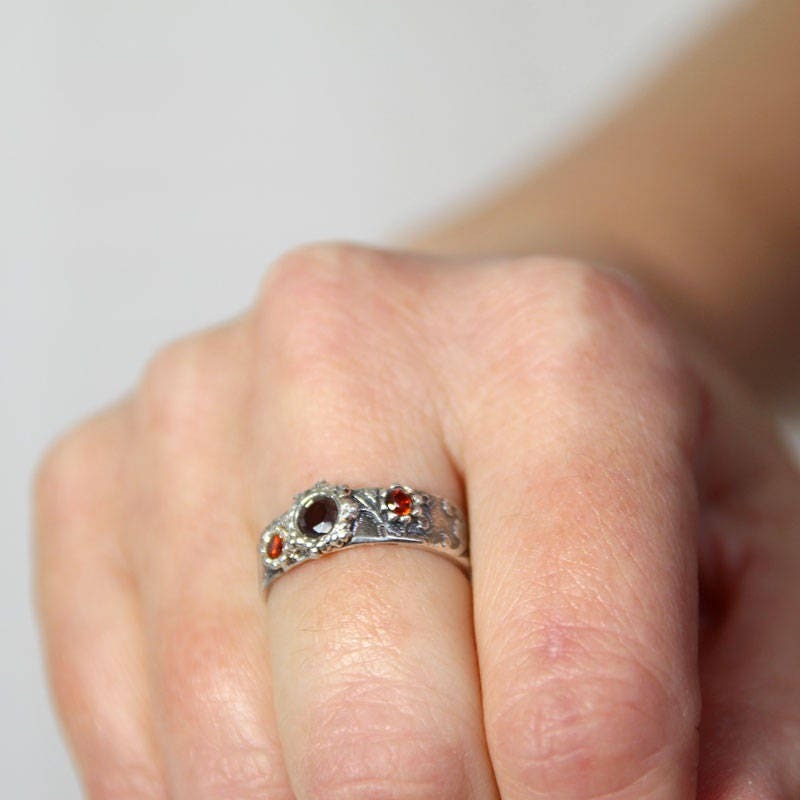 The band is about 1 mm thick and 6 mm wide.